Lamington volcano contains a 1.3-km-wide breached summit crater with a lava dome complex. Its cone is dissected by radial valleys. A prominent broad valley extending from the breached crater to the north is known as "avalanche valley". 2 early Holocene eruptions at Lamington have been identified from ash layers. The catastrophic 1951 eruption seems to have followed a long quiescent interval. Even the local Orakaiva people had no memory about in form of stories of any previous volcanic activity. 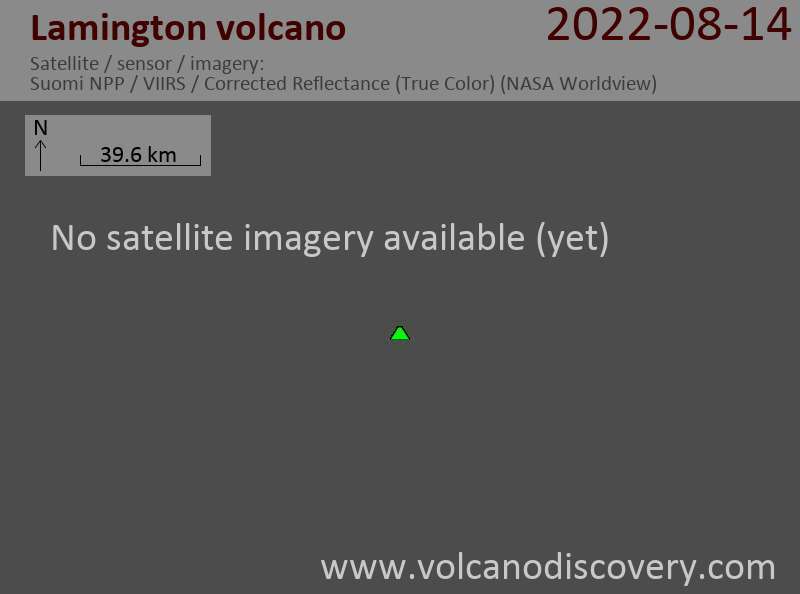 Lamington is one of 4 major andesite volcanoes (the others being Mount Victory, Mount Trafalgar and Hydrographers Range) located on a NE-dipping 60 million years old ophiolite (a fragment of ancient oceanic crust), known as the Papuan Ultramafic Belt (PUB). At present, there is no Benioff-Wadati subduction zone beneath the ophiolite sheet. Magmas erupted from Lamington have unusually high levels of Nickel and Chromium. - G.A.M. Taylor (1958 / 2nd ed., 1983) "The 1951 eruption of Mount Lamington, Papua", BMR (Australia) Bulletin 38, Australian Government publishing service, Canberra (ISBN 0 644 01969 7; ISSN 0084-7089). 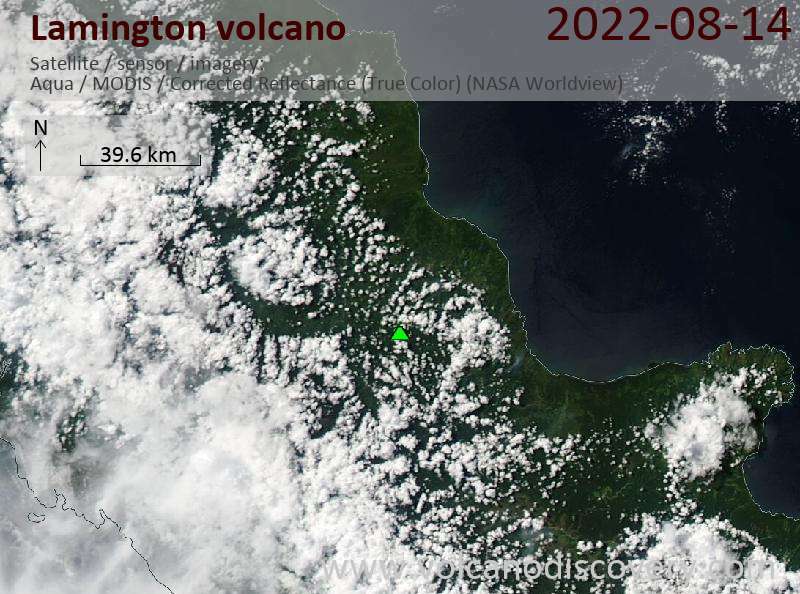 The eruption of Mt Lamington on Sunday 21 January 1951 was the greatest natural disaster on Australian-administered territory of Papua New Guinea. The eruption destroyed the northern half of the mountain and generated a massive pyroclastic surge, which killed more than 3500 people and destroyed dozens of villages. Survivors said "the smoke was seven miles high and the explosion was like an atom bomb or 1,000 block busters going off together" (Sydney Morning Herald, "N.G. DISASTER - DETAILS" 25 Jan 1958). The administration was heavily accused of having ignored warnings and not reacted fast enough to prevent the scale of the disaster. The Melbourne Argus newspaper writes on its front page on 25 January 1951 "' .. they warned us too late' SAY WOMEN SURVIVORS" and reports some telephone interviews with survivors who felt that they had not been warned and informed in time. Similarly the Sydney Morning Herald's headline read "Delay in official warning criticised".